Hell's Kitchen Season 5 Where Are They Now? 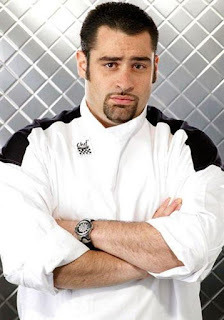 Hell's Kitchen Season 5 aired January - May 2009 on Fox Network, there were 16 contestants and the prize for the winner was $250,000 in cash and a position at Fornelletto at the Borgata in Atlantic City. 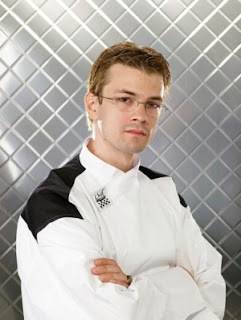 In this season, Gordon Ramsay was judge, Jean-Philippe Susilovic was Maître d', Gloria Félix was sous chef for the red team and Scott Leibfried was sous chef for the blue team. Find out what the Hell's Kitchen Season 5 contestants did next after appearing on Hell's Kitchen with Gordon Ramsay. Alicia aka LA Limtiaco was a Line Cook from Las Vegas, Nevada. 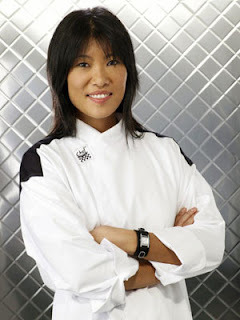 She was eliminated in show 8 due to her lack of leadership skills and creativity in her food but praised as a good, hard worker in the kitchen. After the show, she worked at both the Monte Carlo and Planet Hollywood resorts before moving to the MGM Grand Hotel Resort as Master Cook. Andrea Heinly was a Line Cook from Reading, Pennsylvania. She was eliminated in show 13, Gordon gave no criticism instead praised her skills, branded her a determined fighter and wished her well in her career. After the show, she worked at Stokesay Castle as a Sous Chef before gaining her first Executive Chef position at The Peanut Bar Restaurant. Ben Walanka was an Executive Sous Chef from Chicago, Illinois. 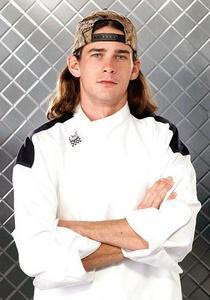 He was eliminated in show 12 and Gordon praised his energy, hard work and attitude in the kitchen. 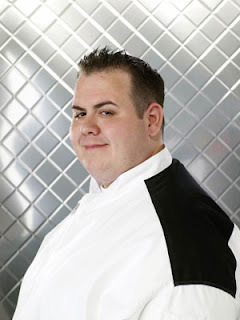 After the show, he was host on The Big Ten Cookout, was Executive Sous Chef at 1500 Degrees alongside Paula da Silva, a consultant for a catering company before becoming Chef De Cuisine at Ameristar Casino and Pinnacle Entertainment. Carol Scott was a Sous Chef from Knoxville, Tennessee. She was eliminated in show 9 due to her poor performance despite her being on the winning team. After the show, she went to work at Bravo Italian Cucina as Executive Chef before starting her own company offering personal chef services. Charlie McKay was a Prep Chef from Las Vegas, Nevada. He was eliminated in show 3 as he had not progressed, Gordon however did recognise he was a nice guy but felt he was not ready to be Head Chef. After the show, he returned to the kitchen. 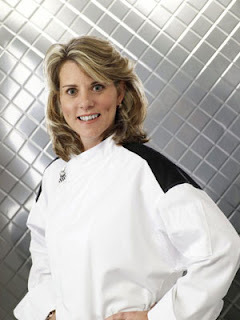 Coi Burruss was a Cafe Chef from Austin, Texas. She was eliminated in show 6, she was a strong contestant who performed well at times but struggled to cook burgers. After the show, she owns a catering business Leila Ts Catering with her sister Simone. Colleen Cleek was a Culinary Instructor from Papillion, Nebraska. She was eliminated in show 5 after poor performances on all stations, sending out raw desserts was the last straw for Gordon. After the show, she returned to her cookery school The Classy Gourmet and has been on television on local interest shows. 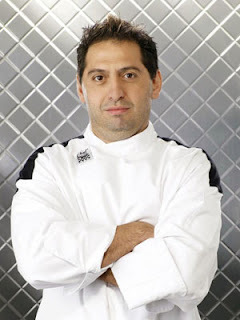 Danny Veltri was an Executive Chef from Edgewater, Florida. 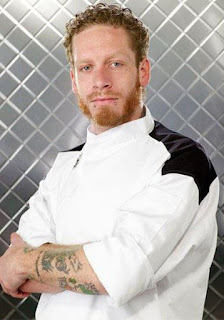 He was the Hell's Kitchen season 5 winner due to his growth on the show, he showed Gordon he had all the necessary skills to be crowned the winner due to his talent and maturity. After the show, he took up position as a Sous Chef at the Borgata Hotel Casino and Spa in Atlantic City, New Jersey but left after a few months. He started his own catering company called Back From Hell Catering before moving to Gnarly Surf Bar & Grill, which he helped opened with other investors. He was arrested in 2012 for DUI. 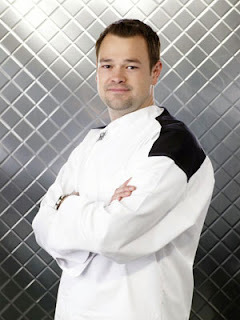 Giovanni Filipponi was an Executive Chef from Destin, Florida. He was eliminated in episode 10 due to the confrontation between the two of them earlier in the service and the lack of respect he had shown during this. After the show, he returned to work at Tuscany Italian Bistro and later Vue on 30a. 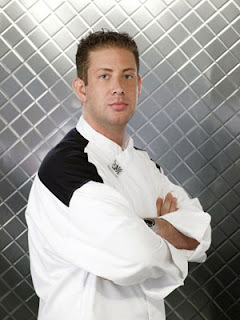 Jason aka J Maxwell was a Food Court Chef from Clifton Park, New York. He was eliminated in episode 7 during service after he overcooked the entire rice supply and struggled on fish. After the show, he works for Morrison Community Living, he has been a Manager, Executive Chef and is currently Regional Director Of Operations. He founded charity Hope of Hire that helps those with autism to gain employment. Ji-Hyun Cha was a Private Caterer from Palisades Park, New Jersey. She slipped on oil in the second episode and twisted her ankle, she soldiered through the service but nominated herself for exit from the competition, a shame as she was a very strong contestant. After the show she worked at Moon Jar in Fort Lee before moving into management at US Foods. 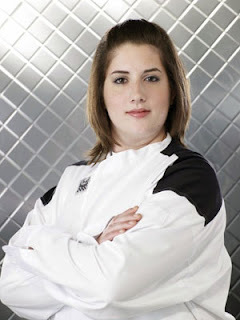 Lacey D'Angelo was a Corporate Buffet Cook from Charlotte, North Carolina. She was eliminated in show 8 as an automatic elimination after she was unable to cook meat. After leaving the show she became a cake baker and more recently she became a Jamberry nails representative. 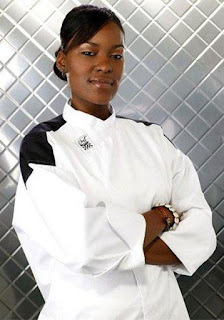 Paula da Silva was an Executive Sous Chef from Coconut Creek, Florida. She was runner up in season 5 despite a very strong performance in the final service. 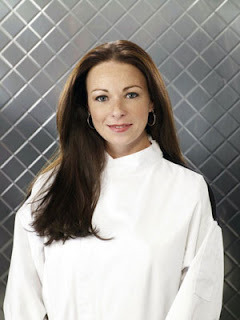 After the show, she returned to 3030 Ocean in Fort Lauderdale before moving to 1500 in Miami Beach as Executive Chef until it closed in 2014. After this, she returned to 3030 Ocean as Executive Chef until August 2015. 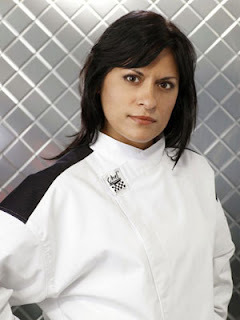 Since then she has been a chef and consultant after launching Paula DaSilva Culinary. Robert Hesse was a Sous Chef from Quogue, New York. He left the service in episode 10 due to a burn on his hand, when he returned in episode 11 he revealed he had a heart condition and had to leave the show. Seth Levine was a Private Party Chef from New York. He was eliminated in episode 4 due to his poor performances but recognised his passion in his cooking. After the show, he opened a number of restaurants, frozen yogurt and snack stores in both the USA and UK. He has contributed to FOOD Magazine and has been a consultant on published cook books. He is currently Executive Chef owner at Hotel Chantelle. Wil Kocol was a Quality Control Chef from Elgin, Illinois. He was eliminated in episode 1 after putting himself up for nomination, Gordon said he had no will to succeed. After the show he became Sous Chef at Redstone American Grill before moving to Yard House where he became Kitchen Manager in 2013. Robert Hesse came back in Season 6 and he did last a couple of weeks. At least that was something. I followed that link about the weight loss...What a difference!